Brimming with culture, full of great restaurants and bars, vibrant night life to match, and with the added bonus of year-round sun rays to soak the beautiful stretches of beach – there’s something to sate every appetite in the Spanish city of Valencia. If you’re strapped for cash or watching your bank balance, Valencia can be an ideal city break for a weekend or longer, particularly if you follow us through our free things to do and budget tips – offering a sample of everything from this Mediterranean metropolis. No one’s charging anything but time for hours spent lounging around on the silky powder sands of Valencia’s two beaches – Playa de la Malvarrosa and neighbouring Playa de las Arenas. With lively bars and restaurants studding the shoreline, there’s everything you need here for a day spent topping up your tan and a night spent sampling tapas and partying. The drinks might not be free, but the infectious atmosphere definitely is. ‘Proper’ Valencian paella, courtesy of our resident Valencian, Brianda. 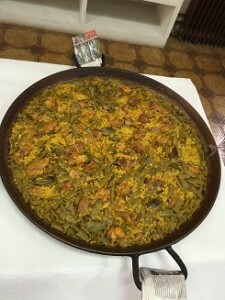 The top dish to sample at lunchtime is Valencian paella – not to be confused with the mixed paella served elsewhere. Here, in its birthplace, the dish is pan-fried and comes in delicious singular varieties of rabbit and vegetable, chicken, seafood and solely veg. Local fare is fairly cheap; we recommend “senyoret paella” or peeled seafood paella – best enjoyed with ocean views. Discover great deals in Benimaclet, a popular area for students with a pace which accelerates as the sun goes down. Don’t forget to try “agua de Valencia”, much more fun that your average water, made from fresh orange juice, champagne and liqueurs. 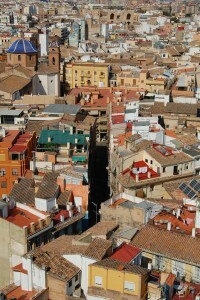 Valencia has three main squares: Plaza de la Virgen, Plaza de la Reina and Plaza del Ayuntamiento. You can happily spend a whole morning roaming around, admiring the huge 13th century cathedral, a hybrid of architecture throughout the ages and peek inside to have a look at San Vincente’s withered left arm, a relic which has terrified hundreds of Valencian school children. Here you will also find a similarly gory Francisco Goya painting, which depicts a fascinatingly gruesome exorcism. Whilst you’re here, observe local life at the biggest fresh produce market in Europe, open 7am – 3pm Monday to Saturday. Visually interesting owing to its design – modernismo – the Spanish version of Art Nouveau. Wander around and haggle for ham; it’s just around the corner from our hostel. Rent a bike for a bargain price at our hostel, and pedal your way around the city in the sunshine: a city conveniently interlaced with cycle paths? tick, exercise? tick, eco-friendly? tick. Many of Valencia’s museums are completely free: Museo de Bellas Artes, the museum of fine art, is on the edge of the Jardins del Turia and is worth a wander; as is Museo Taurino (the bullfighting museum) in the south of the city. 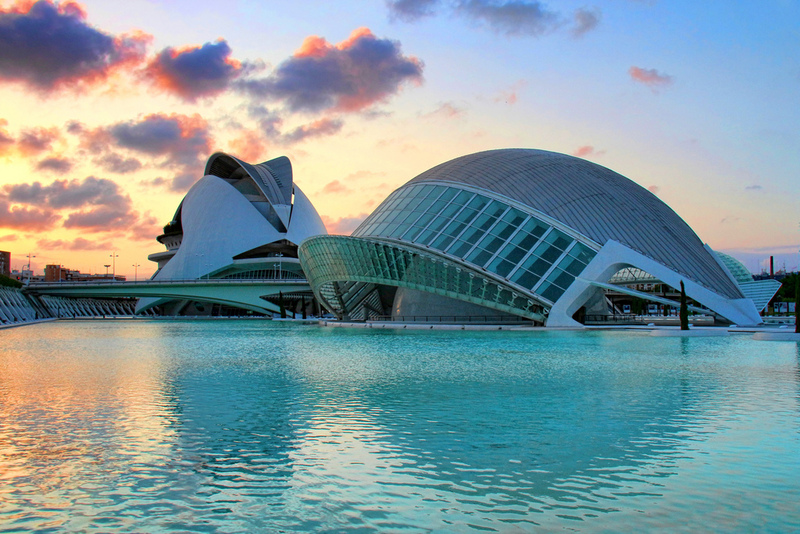 It’s also free to wander down the ‘river’, as Valencians call it, a 9km long park where you’ll find The City of Arts and Sciences, a group of futuristic buildings designed by local architects Santiago Calatrava and Félix Candela. Book one of our hostels in Valencia, the seasoning on the paella of your budget break.